So, as you may have noticed it’s been a while since I’ve posted a game review here, mainly because there just haven’t been any new motion control games out in a very long time. It seems that most publishers have given up on the genre, including such stalwarts as Majesco, EA Sports, and even Nintendo. The one lone holdout is Ubisoft with their annual release of an update to the Just Dance series. It’s hard to believe it’s been almost six years since the original Just Dance on the Wii. Back in 2010 the “exergaming” craze was just starting to peak and Just Dance was one of the titles that helped revolutionize the genre. Prior to it, motion control games mostly involved simple “pattern matching”. But with Just Dance you danced real dance moves to real hit songs. Suddenly, it was a game not only fun to play, but just as fun to watch other people playing. And you could work up a pretty good sweat doing it. Ubisoft’s timing was impeccable. They sold over 7 million copies of Just Dance, 9 million copies of Just Dance 2, and 10 million copies of Just Dance 3. Just Dance 2016 is essentially “Just Dance 7”. Times have changed, of course. You hardly see motion control games anymore, much less exergames. And yet Ubisoft continues to churn out new versions of Just Dance every year. The game no longer sells multiple millions of copies, but apparently it still sells enough to keep the title profitable. Even though they release versions for every platform now, the version for the good ol’ Wii continues to outsell the next most popular version (the Wii U) by more than a 3:1 margin. Seems that a lot of us are keeping our old Wiis around, if only for the occasional exercise session or party. You start by choosing an avatar, basically one of 239 cute little icons, most of which are initially locked. As you play the game you can unlock more to choose from. If you have previous Just Dance save data on your system you’ll get three unlocked right off the bat. You then choose your country from a list of flags and then your age and gender. That’ll create your “dancer card”, and you can go ahead and create others for everyone in the house who’ll be playing. One topic that seems to come up in reviews for Just Dance in recent versions is whether the songs and dance moves are appropriate for children. In letting you choose age ranges from 0-9, 10-14, 15-19, 20-29, 30-39, and 40+ (making this 40+ reviewer feel very old) and a gender of “girl” or “boy”, you’d think that this game is mainly geared towards children. But as we’ve seen in past versions of Just Dance this may not be the case, depending on your parenting preferences. I’m no prude, but even I’d think twice about having kids play this unsupervised. While there are certainly one or two kid-friendly songs like The Little Mermaid’s “Under the Sea”, the vast majority of songs are modern pop songs that are more suited for a grown-up audience. As we’ve seen them do in the past, Ubisoft achieved the “E for Everyone” rating for certain songs basically by bleeping out words. But many parents out there will likely still find some lyrics too suggestive. For example, in Pitbull’s “Fun” when the lyrics go “don’t take it all off, keep your heels and thong”, they decided to bleep out “heels” and “thong”, but that doesn’t really make the song any less suggestive (in fact, it probably makes it worse). Likewise, a number of the songs have what some may find overly suggestive dance moves for children. Again, none of this is really a problem for young adults who wish to play this game alone or in a party setting, but at the very least I’d be sure to screen the songs and the choreography before having children dance to them or playing this in a setting with children, despite the rating. From there you can just jump into dancing by selecting a song. Unlike past versions of Just Dance, they did away with the “difficulty” and “intensity” ratings for each song. If you have an Internet connection you can see the top scores of the week in your country and around the world, as well as the top scores on your local machine. As with past versions, in most cases the choreography is for a single dancer’s moves, but in some cases they came up with a dance routing for 2, 3, or 4 dancers where each dancer has his or her own independent moves that work together with the other dancers. It’s those dances that tend to be the most fun to play—and to watch others play. Here’s a list of the songs, the artists, and the number of dancers the default routine is choreographed for. Certain songs also have alternate choreography that you can unlock. Gameplay is the same as every other version of Just Dance from the beginning. You hold the Wii remote in your right hand and follow the on-screen dancer’s moves as if you’re looking in a mirror. Visual cues in the form of stick figure icons will scroll across the bottom to let you know what move is coming up, but they’re not of much help until you play long enough to be able to associate the icon with the move (and by that time you’ll probably have memorized the routine anyway). One question that invariably arises is—how accurate are the motion controls? The quick answer to that is, they’re as accurate as they’re going to be. I think it was in Just Dance 3 that Ubisoft “figured it out”, -and since then the controls have been “good enough”. Which means that you’re not going to get the precision of, say, an Xbox Kinect…but it’s accurate enough to make it fun, especially when playing in a group where everyone’s on an even playing field. What I’ve found in past Just Dance games, and again in this one, is that most people can get 2 stars on a song just by going through the motions (literally), but to get 5 stars you really need to learn the moves and dance them accurately. I did like the online capabilities, as for once they’re seamlessly weaved into the game as opposed to being overly obtrusive. For example, as I played a song the game asked me if I would like to activate “Dance Challenger Mode” instead of competing against computer dancers. I said yes and ended up dancing with three actual people, one from the US and two from France. “Sweat Mode” is also back, now called “Sweat & Playlists”. As before, you can turn on a Kcal counter to track your calorie count, and you can configure a playlist for 10 minutes, 20 minutes, 40 minutes, or continuous. You can’t save multiple playlists, but the system will remember the last playlist you configured, so if there’s a particular sequence and length of songs you’d like thankfully there’s no need to re-configure it each time you restart the system as you had to with previous versions. The Wii version is pretty basic and lacks a lot of features that other consoles have. For example, with other consoles you can use your mobile device as a controller. Most other versions have more advanced graphics and additional choreography, as well as more online features and video capability. All these, of course, are highly dependent on the capabilities of the console, so I don’t blame them for not including these. But if there is a gripe I have it’s that the $39.99 list price is kind of steep. Ubisoft clearly wants to keep milking the cash cow of Wii users, so their MO has always been to charge Wii users for full releases instead of offering individual songs in the form of DLC. In this particular case, I don’t see many improvements in the 2016 version beyond the 2015 version. I’d say it’s worth buying mainly if A) the actual price drops precipitously, or B) you happen to love more than a few of the featured songs. It’s funny how time changes things. A few years ago, it seems that every time you turned around another company was spewing out another exergaming title for the Wii, and Microsoft and Sony couldn’t wait to get in on the action. These days, it seems that interest has waned to the point where I’m only reviewing one Wii game every few months. Sadly, I don’t think it’s because there’s a lack of interest in the genre among us enthusiasts. The bigger problem is that back in the days when exergaming was hyped up so much, so many of the titles were just lackluster “me too” titles that game publishers pushed out to cash in. Sure, there were the occasional ones that bucked the trend like EA Sports Fitness and Wii Fit, but those were the exception. Zumba Kids was a game that was released in December 2013. You can tell from the amount of time it took me to review it that I wasn’t necessarily knocking down any doors to play it. And surely enough, after playing it, as I suspected there really wasn’t anything new. When you start Zumba kids, you see a splash screen with three kids in colorful outfits. Most of the dancers in the videos, not surprisingly, are kids who do a pretty good job as junior Zumba instructors. Select Quick Play and you can scroll through the song choices. A preview of each song will play as you hover over it. One interesting thing to not is that ALL songs are labeled as “medium intensity”. When they produced this game, they eliminated a lot of the most complex dance moves, as well as a lot of the more “suggestive” moves you might see in adult Zumba. That said, there are some parents who might still consider the moves here too “suggestive”. I won’t get into that discussion here, other than to say that if you’re a parent considering buying this, just watch some of the videos below and decide for yourself what is age-appropriate for your kids. The good news is that from a lyrics perspective, none of the songs seem to be as “controversial” as the playlists that Just Dance for grown-ups has. You can choose from a different venues in the background: Los Angeles (pink), Caribbean (red), Brazil (green), Europe (blue), Hawaii (orange). As with the adult version of Zumba Fitness, the playlist is comprised of selections from each geographical location, making for a pretty diverse list. You can choose Zumba Routines or Freestyle Mode. Zumba Routines work just like the grown-up version, where an on-screen dancer will demonstrate choreographed moves and you need to “mirror” them. One difference between this game and Zumba Fitness is that instead of putting your Wii remote in a Zumba belt, you hold it in your right hand just like Just Dance. As you can see “Medium Intensity” doesn’t get into very intricate footwork or arm movements. This is good in some ways—kids will just get frustrated trying to follow choreography that’s too complex. But I think it backfires in other ways. From an energy perspective, kids have so much of it to burn, so these routines might get boring for some of them. That said, if they string together a bunch of them, there’ll still be some decent cardio benefit. As with the adult Zumba game, each time the system detects that you’ve hit a move perfectly it’ll award points and flash the word “Zumba” on the screen. One thing I noticed is that the tracking was simply not very accurate. I danced these videos virtually perfectly, but as many times as I tried it the system would never award me more than 2 or 3 stars in most cases. I tried everything, even to the point of getting on my knees to simulate more of the height of a kid playing the game. Taking a cue from adult Zumba fitness, I even held the remote upside-down. Believe it or not, once I did these two things I started getting much better scores. I suspect a lot of parents won’t mind poor motion tracking, as a lot of kids are happy just to be jumping around and won’t be paying too much attention to how high their scores are. Still, given that this is something Ubisoft figured out a long time ago, I only wish that the developers of this game were as detail-oriented. “Freestyle” mode was a weird one. You can select any song, but you won’t see dancers on the screen. Instead, as the music plays you’ll see an on-screen meter that gauges how strenuous your activity is. Fill the meter, and you’ll see paint blotches and strokes appearing on the screen. Along the way there’ll be mini-games, such as having to “freeze” completely for a period of time and “coloring in” different pictures, all controlled by waggling the Wii remote. Clearly this was made for very young players who might otherwise feel “left out” when the bigger kids are dancing to the choreography, but I personally didn’t find either the features nor the execution particularly intriguing. The “full party” option is basically the same as a regular Zumba “class” on the adult version, where you can play a string of songs spanning a certain number of minutes. It consists of three categories of menu options. I tried a class and *finally* scored a 5 of 5 stars with a ballet routine, of all things. I did like that the music and choreography was more “kid friendly”. In fact, throwing in choreography like the one simulating ballet and the other simulating Irish Dance is a decent way to introduce kids to all kinds of dancing. That said, while this wasn’t a horrible title, but it also didn’t really add much we haven’t seen a million times before. There’s no excuse for spotty motion tracking these days, and some of the “extra features” such as “freestyle mode” seemed almost thrown in without very much thought. I’d give it 3 of 5 stars; probably not worth a purchase unless you happen to be a Zumba enthusiast and your kids are interested in following in your footsteps (literally). Zumba Fitness World Party is the latest version of Zumba Fitness to hit the Wii (for those keeping score, the other versions have been Zumba Fitness, Zumba Fitness 2, and Zumba Fitness Core. This review is for the Wii version, but I’ll follow up with a separate review on the Wii U version. When you start the game, you’ll see a video of Beto, Priscilla Satori, Gina Grant, Loretta Bates, Peter Lee, Nick Logrea, Melissa Cruz, Heidi Torres, Armando Salcedo, Kass Martin, Eric Aglia, and Dr. B and the Bhenga Bros dancing in locations around the world. It’s a great way to introduce you to both the instructors and the locales you’ll be encountering in the game. When you select World Tour, you first select your profile. It took me a few tries to realize that I had to click on the small round icon next to “profile” to create a new one. For your profile, you enter your name, date of birth, gender, weight, and height in inches. Whoever designed the interface for this thing needs to go back to user experience design class. You’re limited to seven characters for your name, you need to enter your height in inches (not feet and inches), and inexplicably, to change your weight or height you can’t just hover over up and down arrow buttons and press the button nor even use the arrow keys–you need to position your cursor over a tiny area and click, click, click for every pound or inch you want to add. It would have been nice if, like on Wii Fit, it let you use the Balance Board to check your weight, and it gave you the option to hide your weight from prying eyes. In fact, this will be a recurring theme throughout the review: navigating through all the menus can be a chore, as you need to be oh-so-precise with your Wii remote. Welcome to the Zumba Fitness World Tour! Earn Zumba Miles to unlock new songs in each destination. Collect postcards and souvenirs from these exotic locations! For each country, you earn “Zumba Miles” for dancing to the first two songs, and then use those to unlock subsequent songs. During the course of the “World Tour” you’ll unlock “passport stamps”, “souvenirs”, and “postcards” as you dance. There’s really not much challenge to earning these–just dance with some semblance of accuracy and throughout your dances you’ll see these goodies awarded to you every couple of seconds. To get started, you first put your Wii remote into your Zumba Fitness Belt, which is included with the game. There’s nothing really special about this belt other than having the Zumba logo on it, it’s just a piece of flimsy plastic with a pocket that your put the Wii remote in. If you’re playing a used or rented copy and don’t have the belt, don’t worry, all you need to do is find a way to strap the Wii remote to your right hip, for example, using an old belt, a right pocket, or even just wedging it under a tight waistband. There are also options you can buy on Amazon. The key is to put the remote “up-side up” so that the power button is closest to your face and the “A” button is facing towards the TV. Next comes the dancing. You’ll see a street scene from the area of the world you’ve visiting, and a Zumba instructor will be in the center of the screen. As with all these kinds of games you’ll need to mimic his or her moves as if you’re looking in a mirror. You’ll also see a running count of the “Zumba Miles” you earn. You’ll also see a number of attractive professional Zumba dancers dancing along; the better you dance, the more Zumba dancers will join in. In a clever touch of humor and realism, in some scenes you’ll also see a crowd of “amateur” Zumba dancers in the background who like you and me may not exactly be following the moves correctly (but like you and me, are trying their best). As with other games of this ilk, you’ll also see an animated preview of the next dance move that’s coming in a postage stamp-sized window in the upper right-hand corner. I didn’t find this very helpful, as it didn’t really break down the moves for me, but as I play the game more I can see how this can be helpful in anticipating the next moves. Unlike previous versions of Zumba Fitness, instead of an animated cartoon figure or a faceless silhouette, you’ll see the actual video image of the instructor. This makes it a whole lot easier to pick out the moves they’re doing, and is a lot more like a realistic Zumba session than ever before. When you hit a right moves, you’ll see the words “Zumba!”, “Nice!” or “Hot!” appear on the screen, and the more precisely you dance, the more stars you earn. They did a pretty good job with motion tracking–as an experiment I just sat on the couch and waggled my remote to coincide with the music, but the system did a pretty good job of not rewarding me. On the other hand, the scoring is pretty lenient as long as you’re “close” to the right moves. If you just go through the motions (literally), you’ll easily earn 4 or 5 out of 5 stars. So you’re kind of under the “honor system” to really put your all into the dancing and to try to really put the precise technique into practice each time you play. There isn’t an option to “break down” each song to really learn them, so you’ll need to learn them by practicing repeatedly and by mastering the basic steps in the dance tutorial (which I’ll describe below). With the World Tour, you have to dance all the songs in your country in quick succession. In another bit of a user interface annoyance, you get only about half a second when you’re between songs to look at a screen showing how many songs you’ve played in the round, how many rewards you earned, and how many Zumba miles you’ve collected. Blink and you’ll miss it. It would have been nice for them to allow you to pause and read this screen, but perhaps they deliberately designed it so that you have to go to the next song immediately to keep your cardio going. The “Full Class” option is more like a traditional Zumba class where you can choose one of 15 Short Classes (between 9 and 22 minutes), one of 15 Medium Classes (each about 40 minutes), one of 15 Full Length Classes (about 60 minutes each), or your own custom class. In the Full Classes, you basically dance to songs in the playlist continuously until the time is up. Your star rating will appear under each class, so if you don’t hit five stars, you’ll have incentive to go and play the class again. With “Quick Play“, you can jump in and start dancing to any of the 40 songs. “My Zumba” lets you view your progress. You can see how many days you’ve been playing and get weekly reports on the amount of time you’ve played, the calories you’ve burned, the number of sets you’ve danced. You can also set goals for yourself and view the bonus videos, levels, and awards you’ve unlocked. You can also view your postcards (signed by Zumba instructors standing in front of scenes from the different countries) and souvenirs (photos of cultural trinkets and knickknacks) in your “World Scrapbook”. This section also has “Learn the Steps” where you can choose a dance style, basic step, and speed and master it. As I mentioned before, there’s no training option where they break down each individual song, but by mastering the basic steps for each song you’ll basically be able to tie them together when dancing the full songs. In yet another minor annoyance with the user interface design, you can’t use the arrow keys on the Wii remote to change steps or speed–you have to take the remote out, press the + button, point it at the screen to make your new selection, and replace it. My impression of Zumba World Class is pretty much the same as my reviews of past Zumba games. It’s quite literally the next best thing if you can’t make it to a real Zumba class. You get instruction from the top Zumba dancers in the world, you get 40 great songs to dance to, and you can dance any time of the day or night. There are some minor annoyances in the game. There’s no excuse for still having such a poor user interface after so many releases. And anyone who’s a stickler for accurate and precise motion tracking in a game may be a bit disappointed. Still, as before, if you’re a Zumba enthusiast, chances are you’ll be very happy with this one. The live action video dancing is an excellent new feature, and the new “world travel theme” that really provides incentives for you to keep dancing. Very highly recommended for Zumba fans; for those just looking for exercise and fitness I’d still give the edge to a game like Wii Fit U or Your Shape 2013. A few weeks ago I published my review of Just Dance 4 for the Wii U. As I know a lot of folks out there still are using the Wii as their main console (or have purchased a Wii U and are using their old Wii in their home gym exclusively for working out), I figured I’d spend a few minutes to talk about Just Dance for the Wii. Just Dance 4 for the Wii is for all intents and purposes the same as its Wii U counterpart, with its simple opening menu with two options (Just Dance and Just Sweat), the same ability to create Dancer Cards, virtually the same song list, and the same fun 1-4 person choreography. You’ll also be able to unlock Battle Mode which is a fun two-player game putting you against another player (all 5 battles must be unlocked). It also has the same “Dance Quests” under each song, and the same system of unlocking new features using Mojo Points. The only thing missing are a few Wii U exclusive songs, as well as some Wii U features like “Puppet Master Mode”. Just Sweat Mode is also set up exactly the same on both systems. You start out with four sessions (Aerobics in Space, Sweat Around the World, Electro Body Combat, or Cheerleaders Boot Camp) representing 80’s Pop, World Music, Electro Music, or Punk Rock genres and Dynamic Fitness, Latin Dance, Cardio Fighting, or Extreme Training styles. You’ll also be able to unlock one more (Swinging 60s Workout) as you advance. These aren’t just the standard choreographed songs set to music, but specially designed workouts with moves that exercise specific parts of your body and have proper warm-up and cool-down routines. Here’s a video of “Sweat Around the World” workout that features Latin dances; not surprisingly, there’s a very Zumba-esqure feel with a lot of the dancing. Assuming you really perform the workouts to the best of your ability for a sustained period of time (at least 30 minutes a day), they are intense cardio workouts that rival or surpass the best “pure workout titles” on the Wii (and in fact have such a good balance of fun, replay value, and exercise that it still ranks #1 on our list of Best Wii Fitness Games). Just Dance, Just Dance 2, and Just Dance 3 for the Wii were already excellent titles, but as I did with the Wii U version of the game I wholeheartedly give this one 5 of 5 stars. There are a lot of things that will make you want to take Just Dance 4 off the shelf and play it again and again, whether it’s collecting Mojo Points to unlock new game features (some songs will flash an icon telling you you can double-Mojo points), hitting a fitness goal, or mastering a particular routine with a friend. While the Wii U features certainly do add some fun and frivolity when playing in groups, they are certainly not central to the gameplay. The meat of the game is still intact in the Wii version, and it’s still a worthwhile buy if you don’t have immediate plans to purchase a Wii U. I was a little disappointed to find that the stats I had earned while playing the Wii U version were not reflected when I played the Wii version, meaning that if you do get the Wii U version eventually, you’ll have to unlock all the bonus features from scratch. Something else Just Dance 4 has, which I didn’t mention on the Wii U review, is an excellent in-game Store where you can purchase downloadable content. I knew exactly the first song I wanted to buy. Okay, I know it’s this generation’s “Macarena” or “Who Let the Dogs Out”, but hey, I’ve been wanting to learn PSY’s moves since I first saw Gangham Style on YouTube, and while the Just Dance choreography isn’t an exact match to the video, all of his signature moves are there. As you can see, the download process is amazingly simple; as long as you have Wii Points in your account the 300 points will be deducted from that, and the song will appear right in the Just Dance 4 menu once you download it. You can choose to download the song to Wii System Memory or to an SD card. Within the options menu, you can even move your downloaded content between the memory and the SD card. The first thing to know about Zumba Fitness Core for the Wii is that it’s really “Zumba Fitness 3”. Supposedly, the word “Core” in the title connotes that this version of the game focuses on your abs, but the choreography seemed to me no different than what you’ll find in earlier versions or standard Zumba classes. My impression is that the name was probably more of a marketing move than anything else; they could have called it “Zumba Fitness Cardio” and no one would have known the difference. In any case, just as with the previous versions of Zumba Fitness for Wii, you’ll need a belt to hold your Wii remote as you dance. There is a belt that comes packaged in the box, but if you want to play with multiple players (the game supports up to 4), each player will need their own belt. You really don’t need to buy additional belts from Majesco; any belt will do as long as you can tighten it enough to securely hold your Wii remote at your waist level. One very, very important thing to remember is that the Wii remote needs to be positioned with the buttons facing out (towards the TV) and the remote right-side up vs. upside-down (i.e., with the A button on top). If you stick your remote in the belt the intuitive way (upside down), the game won’t track you at all. There was so much confusion about this in past versions that this time they’ve included a little video on it to show the right way to do it. The first thing you do is set up your profile. Strangely, it doesn’t let you use your balance board to detect your weight. Worse, you input your weight in the most painful way possible–by starting at about 100 pounds and pressing the button for what feel like an eternity (in my case at least) to get to your actual weight. The first thing I tried were the tutorials, which aim to teach you some of the basic steps you’ll use throughout your workouts. One reason why Zumba in general is so popular is you’re doing what look like pretty elaborate dance routines, but at their core (no pun intended) are basic classic dance steps that you learn and find yourself using over and over. In this case, you’ll learn four basic steps for Salsa, Merengue, Samba, Bollywood, Reggaeton, and Cumbia respectively. Mastering these 24 basic steps will serve you well as you play the game. The tutorial is done very well–you start off by watching Beto break down the steps in slow motion, and once you get those steps down you can see and try them at actual speed. I like how when you view the dance steps at full speed, the animated Beto will throw in flourishes that take the dance step beyond the mechanical and show you how to put some artistry into them. One of the key things I look for in any Wii game is how good the motion detection is. In the first version of Zumba Fitness this was not good at all. The second version improved it. I think it’s safe to say that this third version is probably as good as it’s going to get on the Wii’s technology. I tried to deliberately “fake” the system out by sitting on the couch and waving the Wii remote in my hand, but the game would have none of it. It was only when I stood up and danced with the Wii remote strapped to my waist that I started getting points. Having said that, the game is pretty lenient with scoring. When I danced to the same song on the Xbox version and the Wii version, the Xbox version gave me 3 stars out of 5 vs. the Wii version which gave me 4s and even 5s out of the gate. As much as I’d love to think I’m a dancing machine, I think it’s more a reflection of the Wii’s not being able to detect certain kinds of movements as well as the Kinect, such as intricate foot movements or any kind of arm movements, and so none of those things are reflected in the Wii’s scoring. At the end of the day, all it can really do is judge where your hips are at any given point, and assume that if it’s in the right place the rest of your body must be too. So while it’s still pretty accurate (you still need to dance a pretty spot-on performance to get 5 stars), for a lot of things you’re pretty much on the “honor system” to do them right. Incidentally, while the Xbox excels at accurate tracking, the Wii version does have something that the Xbox version doesn’t do and probably will never do: allow for 4-person simultaneous play. There are 33 songs to play, 17 of which are licensed tracks from artists such as Carlinhos Brown, Enrique Iglesias, Sean Paul, Kat DeLuna, and Karmin. They span a huge number of genres from African to Bollywood to Polynesian Rhythm to Reggae to the more traditional Latin dance moves such as salsa and samba. The songs range from low intensity to high intensity (where some of them will literally have you grasping for breath if you’re not in shape). The graphics were improved with Zumba Fitness 2 and this version improves on them even more. You can choose from eight venues to dance in, such as a nightclub scene to an amphitheater to exotic locations such as Las Vegas and Hawaii. Each song is presented by a different Zumba personality, such as Kass Martin, Tanya Beardsley, Nick Logrea, Loretta Bates, Gina Grant, and Beto. As with the previous games, you mirror the moves of your onscreen trainer as precisely as you can. You can play virtual Zumba classes, which basically string together a number of individual songs for short classes (about 20 minutes), mid-length classes (about 45 minutes) and full-length classes (about an hour). One thing new to this version is that as with real Zumba classes, you start off and end your sessions with lower intensity songs to properly warm up and cool down respectively. There are a lot of great features of the game which inspire you to play over and over again, something you need to do in order to see your workouts result in weight loss and better health. The Progress Tracker is much improved in that you can visually see graphs of your score, time played, accuracy, and calories burned by day, week, or month; it’s definitely a good feeling and pretty good motivation to see those graphs filling up. There’s also a lot of a great unlockable video content and achievements that’ll incentivize you to keep working out. Zumba Fitness Core doesn’t quite take the place of a real Zumba class; there’s only so much technique you can learn from a two-dimensional video game, and of course you don’t get the social component of taking classes with a real instructor and a real class. Having said that, it’s a great introduction for those new to Zumba, and it’s also great to use if circumstances (e.g., the weather, your work schedule, your wallet, etc.) don’t allow you to take as many real classes as you’d like. While Zumba exercise is not for everyone, if it’s for you, I think you’re going to enjoy this game. In 2009. Ubisoft revolutionized dance video games with Just Dance, selling 6.76 million copies around the world. In 2010, they released Just Dance 2, selling an astounding 9.21 million copies. 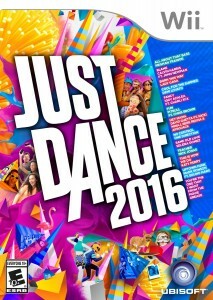 In 2011, they followed it up with Just Dance 3, selling 9.13 million copies. In the interim, they’ve sold dancing games that featured Michael Jackson, ABBA, the Smurfs, kid’s songs, the Black Eye Peas, Disney songs, summer dance songs, and Broadway showtunes. You can’t blame them for flooding the market like this, of course. As long as we keep buying them, they’ll keep cranking them out. That’s why there’s a new Spiderman reboot this year, and give how successful it’s been no doubt they’ll find a way to reboot it again in another five years. Here’s one of the new songs by Rihanna. I’ll start out with the good. The opening menu is pleasantly simple and just like with all the other Just Dance games. You can choose “Dance” mode, “Just Sweat” mode, and Extras (where you can turn lyrics, pictograms, and help screens on and off). As with other Just Dance games, when you get to the song selection screen you can see the name of the song, the artist, and 1-3 “gears” (indicating technical complexity) and 1-3 “drops of sweat” (indicating workout intensity). Just Sweat mode allows you to choose a free session where you can work out with up to 4 players, or 7-Day challenge, where you can choose one of three challenges: The Fresh Start (equivalent to walking 30 minutes a day), The Healthy Choice (equivalent to running 30 minutes a day), and The Sweat Explosion (equivalent to swimming 30 minutes a day). These options should be familiar to anyone who’s played Just Dance 2 or Just Dance 3. As with those games, as you work out you earn “sweat points”. Sine there was no “sweat mode” with the original Just Dance, this is the first time you’ll be able to work out to those 10 songs. Plus, for those 10 songs you’ll benefit from the greatly improved motion detection from Just Dance to Just Dance 2. As with sweat mode on other games, after you complete a certain number of songs you’ll be told how much energy you spent (1000 sweat points is compared to walking in Times Square, while 2000 sweat points is like running 10 laps around Wembly Stadium. As with all variations of Just Dance, it’s fun to play by yourself, but it becomes a whole new level of fun as you try to out-dance each other. Even though the Wii’s motion controls may not be completely on target, you’re on an even playing field with your opponent which makes it fun and competitive. Here’s Lisa and me working out to Katy Perry. And now, here’s what I didn’t particularly like about this game. And there is a lot of things I didn’t like, so hang on. First of all, it’s a little insulting that Ubisoft would take a handful of old songs, throw them into a single title, and charge a full $40 for them. Even though these are called the “Greatest Hits”, they don’t even have the best songs from Just Dance 1 and 2. The dance moves are pretty much identical to what they were in the original games–there wasn’t even an attempt to improve them or to provide alternate choreography. I noticed some tweaking of some animation and backgrounds, not always for the better. Speaking of choreography, there are no songs that use 4-player choreography. There are only a handful of songs that are choreographed for 2 people. Not only that, there is no “party mode”, nor any of the other improvements that came with Just Dance 3. At the very least I would have hoped that they would have introduced some of the benefits of Just Dance 3 to these old songs, but to the contrary, they just dumbed down the experience. Perhaps worst of all, the songs included in this game are hard-coded, meaning you can’t transfer them to play in Just Dance 3 nor the upcoming Just Dance 4. This is one gripe I have about all the various copycat games that Ubisoft puts out. It’d be ideal to be able to download or transfer songs like Michael Jackson songs or Black Eyed Peas songs to the main Just Dance 3 program, where you can record your high scores or design your workouts all in one place. Sadly, Ubisoft seems to insist on making you pay for the game and the songs all over again every time they come up with any kind of unique compilation (and with this title, even for compilations that are in no way unique). This is a hard one to rate. On the one hand, I’ve given all the Just Dance titles 5 out of 5 stars because they’re just a lot of fun. And sure enough, in this one motion controls are still good, the Just Sweat mode really does give you a decent workout, 2-person play is still a blast, and those who happen to like the songs on this compilation (and who don’t already have Just Dance and Just Dance 2) will enjoy it. On the other hand, the negatives around this title have to do more with the marketing and packaging than with the gameplay. And so for that reason I’d give this a 2.5-3 of 5 stars. However, Ubisoft will learn the lesson one way or another than users will only stand to get taken advantage of so far. For the sake of the future of this franchise, I hope with Just Dance 4 and beyond they focus more on how to incrementally improve the user experience and less on how to squeeze every last nickel and dime out of their users.